No doubt that basketball is one of the US’s most popular national sports. As you know, the sport was credited as the brainchild of Dr. James Naismith, a Canadian-American physician, Christian chaplain, physical educator, sports coach, and innovator. In 1891, at the age of 30, Naismith invented basketball to fulfill the need for an indoor sports game while it was too cold to practice other sports such as football or baseball outside. Dr. Naismith also penned the 13 original basketball rules for the sport. That, in comparison to today where the NBA rule set requires 66 pages of printed documentation. Over the years since the invention of basketball, those thirteen original rules grew into the 66-page monster currently controlling the sport. However, some strange and rather unusual rules made it into the NBA rule book. In this post, we will take a look at some of the lesser-known and rather unusual ones. Naismith’s fouls Originally created with the intention to keep physical contact to a minimum the good doctor drew up a logical set of regulations and rules to uphold the core principles of his game. The original game rules allowed no free throws, instead, when a team made itself guilty of committing three fouls before the opposing team committed a single foul, the team with a clean record received a point. I wonder what Naismith would think about the Hack-a-Shaq? Scoring Own Goals Players scoring on their own goal invariably find themselves in a highly embarrassing situation. However, both NBA and FIBA basketball rules state that field goals scored on one’s own basketball will be invalid if they’re deemed to have been scored deliberately. A pretty sound rule considering scoring on oneself is a pretty overt way of throwing a game. Dunking During Warm-Up The dunk is one of the most exciting plays in basketball and its association with disrespect by the purists (and racists) has made for some of the stranger rules in basketball. 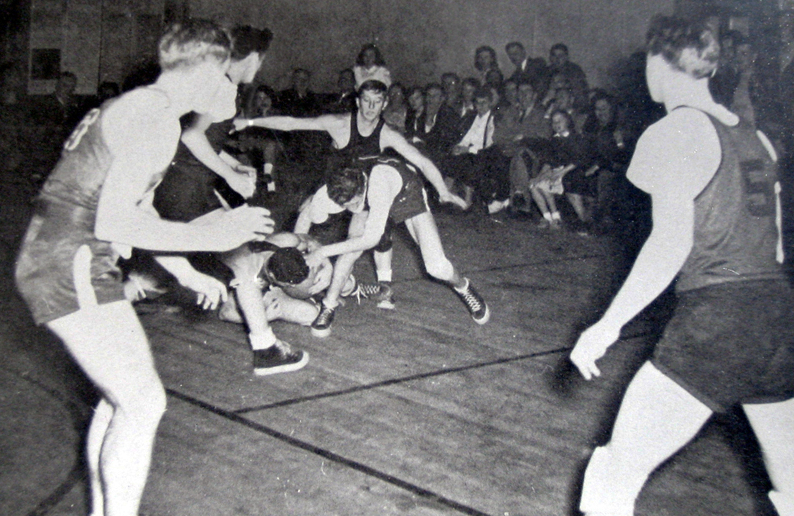 Many high school basketball leagues state that dunking the ball prior to the commencement of the game is illegal. Players may indulge in as much dunking as they please during the game, but before the game, the rules allow for zero dunking. Team members found in transgression of the rule may cost their team a technical foul, awarding their opponents a single free throw. Despite some weird rules, the explosive, fast-paced action garnered the game many followers even outside of the continental US. Its popularity makes it a firm favorite and virtually all bookmakers provide extensive coverage of events with many of the fans regularly engaging in placing a wager on their favorite team or player. Anybody interested in placing such a wager will first need to find a trustworthy, reputable online bookmaker. A daunting task unless they make use of one of the premier online affiliates such as Betenemy.com which will provide them with a vast selection of vetted leading online bookmakers and in addition highlight which bookmaker provides the best range of promotional bonuses and special offers. Original Air Ball The illegality of advancing the ball without passing or dribbling it is a commonly known fact. All players regularly dribble the ball by bouncing it off the ground. However, few are aware of the fact that you may also dribble the ball by batting it into the air. It is according to the rules known as an air dribble. The ball must bounce on the ground before the player may touch it again and continue his dribble. This created many past controversial decisions where a misunderstanding of the rule has resulted in defensive players being charged with a foul. In addition, the player with the ball may toss or flip it into the air and then bat or swat the ball in the direction he desires, where-after you may then run past or ahead of the defensive player and retrieve the ball. After retrieval, players may resume their dribbling of the ball in the acceptable way, remembering if they catch the ball using both hands the dribble is considered completed and they must then either shoot or pass the ball. Since the dribble holds no real advantage, it is a rarely seen action. It would be interesting to be in a room with Naismith and watch his head explode while he watched James Harden highlights. Like this article? Then you’ll want to check out our list of oddball rule changes that were inspired by NBA players.